Arrival Cairo air port, Meet and transfer to the Hotel, Over Ngt. After Breakfast, Full Day tour Visiting The Egyptian Museum and Old Cairo Coptic, Ben Ezra,And The pyramids & Sphinx, PM First Class Sleeper Train to Aswan,Dinner O/N. AM. 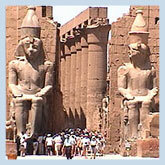 Arrival Aswan,Meet and transfer to The Hotel,Over Day to visit Abu Simbel By Bus. PM Free over Ngt Aswan. AM after Breakfast, Transfer to Nile Cruise, Tour visiting The High Dam, Unfenced oblique Phiela, Lunch Dinner over Ngt. After Breakfast tour visiting Komombo and Edfu,Lunch,Dinner Over Ngt. After Breakfast tour visiting Valley of the Kings and Queens,Lunch Dinner over Ngt. After Breakfast, Tour to visit Luxor And Karnak Temples, PM Transfer to Train St for Dep To Cairo By sleeper Train, Dinner over Ngt. AM. 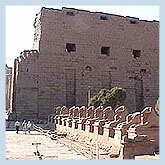 Arrival Cairo,Meet and transfer To The Hotel,and tour Visiting Memphis and Saqqara. After Breakfast,Final Transfer to Cairo Air Port.